Use this slim-line option when space is at a premium. 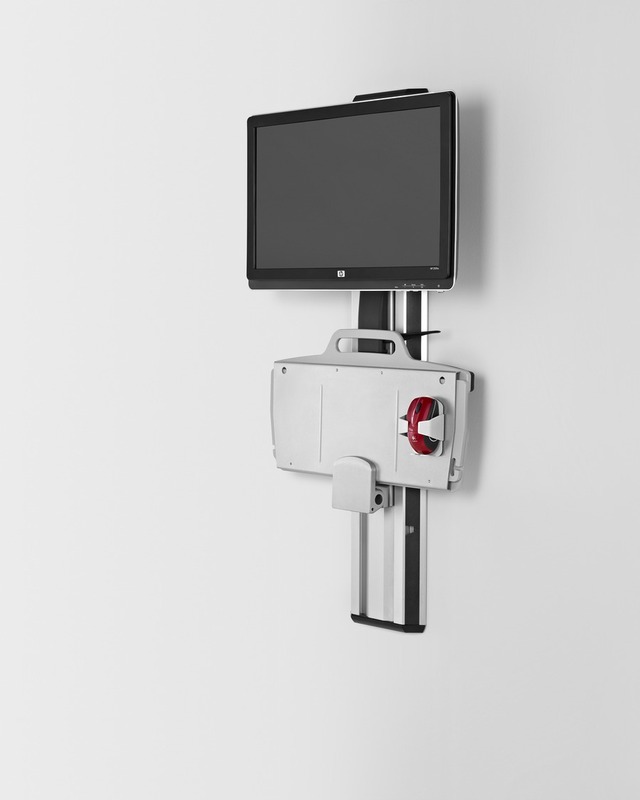 This track-mounted support holds monitors up to 15 pounds and folds within four inches of the wall when not in use. 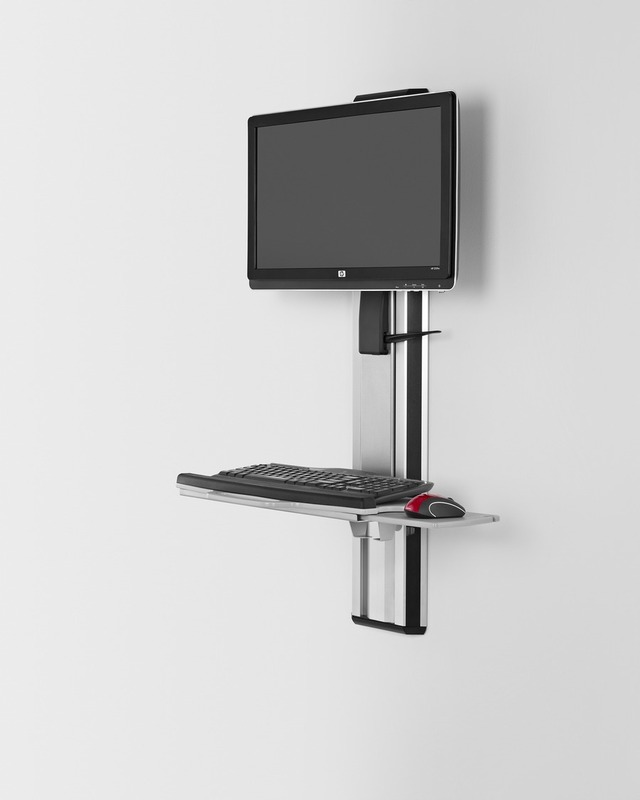 Anti-microbial finishes and integrated wire management come standard. Attachable CPU support is also available. Ideal for education and healthcare hallway environments.